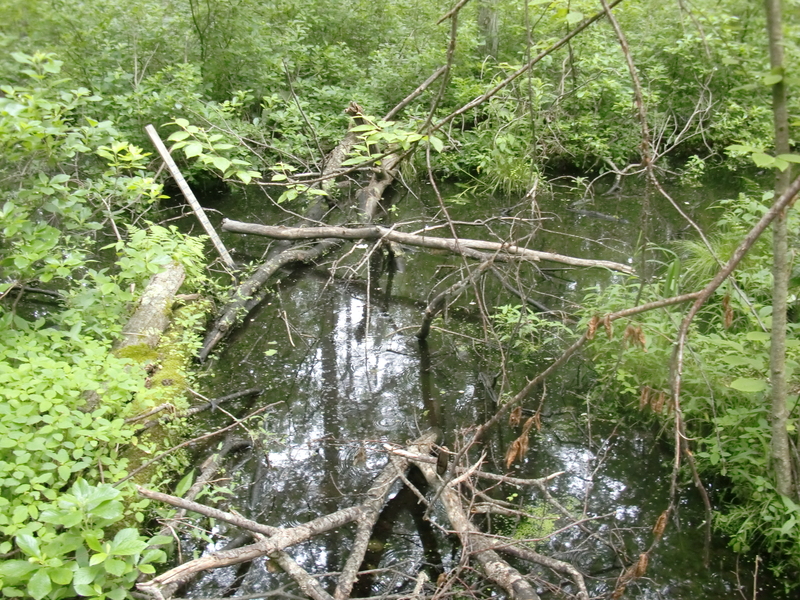 This first photo is of a vernal pool. Vernal pools are bodies of water whose water levels vary greatly throughout the year; some even dry up entirely during the summer months. Being free of fish, vernal pools are ideal spots for frog, salamander, and caddisfly young to mature before they move on to their adult habitats. Fairy shrimp even complete their entire life cycle in these temporary wetlands. This one at Broad Meadow Brook Wildlife Sanctuary in Worcester, Massachusetts, seems to be going fairly strong for mid-June. And then here we have a damselfly. 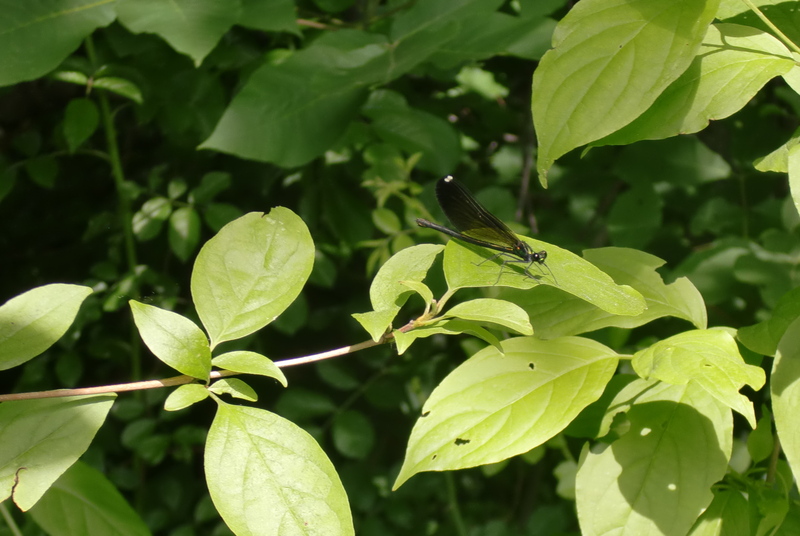 If you’ve ever tried to photograph a damselfly, you know why I thought of them for this challenge. I captured this one in Northborough, Massachusetts, before she flew away. The fleeting moment I didn’t get to photograph on this hike was the dragonfly that captured a bug and then landed on my jacket to consume its prey. My “Holy crap, it’s a dragonfly!” scared it away before I could grab my camera, though. You might also be interested in seeing my take on a very similar subject in last year’s Weekly Photo Challenge: Fleeting Moment. cool article! Congratulations for photos! que artigo leegal! Parabens pelas fotografias!